The NFL Players Association filed a lawsuit against the league on behalf of New England Patriots quarterback Tom Brady Wednesday, court records show. The players union filed the suit in federal court in Minnesota. Tuesday, the league upheld its four-game suspension of Brady. The quarterback and the NFLPA had stated a plan to fight the decision in federal court. Before Brady took the fight over his "Deflategate" suspension to court, he took it to social media. Patriots owner Robert Kraft also backed the three-time Super Bowl MVP, saying "I was wrong to put my faith in the league." One day after NFL Commissioner Roger Goodell rejected Brady's appeal, the star quarterback posted a 507-word statement on Facebook with his firmest denial yet, writing: "I did nothing wrong." Kraft followed with an unscheduled address to the media gathered at Gillette Stadium for the opening of training camp and the team's defense of its fourth Super Bowl championship. "It is completely incomprehensible to me that the league continues to take steps to disparage one of its all-time great players, and a man for whom I have the utmost respect," the Patriots owner said. "I have come to the conclusion that this was never about doing what was fair and just." Just before the courts closed in Minnesota, the NFLPA asked U.S. District Judge David Doty to overturn Brady's four-game suspension - or at least put it on hold until the case can be heard. The union asked Doty to throw out the suspension before Sept. 4; that would keep Brady from missing any practices before the Patriots' Sept. 10 season-opener against the Pittsburgh Steelers. "We need to free him up for that first week," union attorney Jeffrey Kessler told The Associated Press. "We don't believe this discipline can ever be sustained." The lawsuit argues that the NFL made up its rules as it went along and misapplied the ones that were already on the books. In an interview with the AP, Kessler called it "offensive" that the league accused Brady of destroying his cellphone to obstruct the investigation, a claim NFL Commissioner Roger Goodell made in upholding the suspension on Tuesday. "We believe they highlighted this issue solely to inflame the public, to suggest there is some secret information being withheld, and that's wrong," Kessler told the AP. "It's an unfair character assassination of a player who has done nothing but be a model citizen for this league." Brady defended the cellphone swap on Facebook. "To suggest that I destroyed a phone to avoid giving the NFL information it requested is completely wrong," he said. "There is no 'smoking gun' and this controversy is manufactured to distract from the fact they have zero evidence of wrongdoing." Brady was suspended four games and the Patriots were docked $1 million and two draft picks in May for what the league found was a scheme to provide improperly inflated footballs for the AFC championship game against the Indianapolis Colts. Investigator Ted Wells zeroed in on two equipment managers - one who called himself "The Deflator" - and said Brady was "at least generally aware" of the illegal deflation scheme. Kraft said the Patriots did nothing wrong, but the team fired the two equipment managers. He said he didn't fight the team's penalty because he thought the league would go easy on the star quarterback. Now, he said, he regrets his decision. 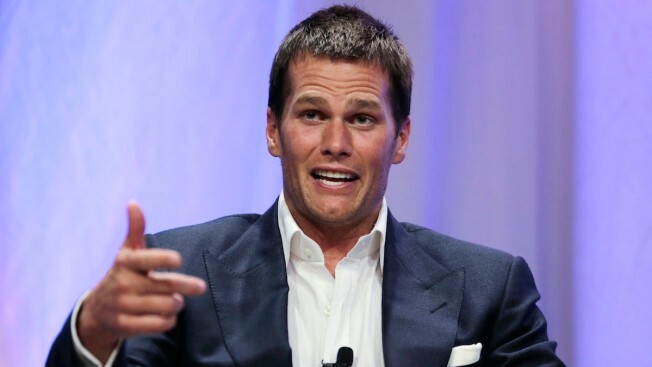 "I truly believe that what I did in May ... would make it much easier for the league to exonerate Tom Brady. Unfortunately, I was wrong," Kraft said, apologizing to the team's fans and to Brady. "Six months removed from the AFC championship game, the league still has no hard evidence of anybody doing anything to tamper with the PSI levels of footballs." Kraft said the team turned over every cellphone not belonging to a player - including the one belonging to coach Bill Belichick. The powerful owner, who had been one of Goodell's most loyal allies, said the league's claim that Brady trashed his phone to obstruct the investigation was just the latest in a series of statements and leaks that "intentionally implied nefarious behavior" where there was none. "Tom Brady is a person of great integrity and is a great ambassador of the game, both on and off the field," Kraft said. Brady, who had earlier denied cheating accusations with the tepid "I don't think so," more forcefully defended himself in the Facebook post, claiming he cooperated with the investigation except where doing so would have set a bad precedent for his union brethren. Brady said he replaced his broken phone only after his lawyers told league investigators they couldn't have it. "Most importantly, I have never written, texted, emailed to anybody at any time, anything related to football air pressure before this issue was raised at the AFC Championship game in January," he wrote. The post was liked by 51,000 people - including his wife, supermodel Gisele Bundchen - in the first 30 minutes after it was posted on Facebook. By the time the lawsuit was filed at 6 p.m. Boston time, the number was 250,000. Patriots special teams captain Matthew Slater Brady's teammates support him. "The guys in this locker room, we feel we are part of a family," he said. "Good or bad things happen in life, you stick with your family." Belichick had been scheduled to speak to the media first on Wednesday morning, but Kraft took the podium instead. The coach, as is his practice, declined to comment on the scandal. "Nothing really to talk about there," he said. "We're going to take it day to day, just like we always do." AP Pro Football Writer Barry Wilner and Associated Press writer Amy Forliti contributed to this story.